Here is a list of our events to be held at the Raffles Town Club in June-July 2016. We will also help students to overcome fear and build their confidence to prepare the ground for optimal learning. Mastering algebra can be as easy as ABC with the right technique , learning altitude and problem solving skills. During the workshop, participants will also gain a deeper awareness on the different types of stress that they face, obtain tips on how to manage exam stress, and to deal with ongoing stress positively. Description: In this interactive workshop we will explore the beauty of mathematics through creative problem solving, and be inspired by the lives of famous mathematicians and their discoveries. Facilitators: Dr. Rajesh R. Parwani (www.simplicitysg.net), co-facilitated by Ms. Adeline Ng. Description: In this workshop, we will examine the key ideas introduced by Newton, and improved upon by Einstein. For inspiration, we will also look into their personal lives, motivations, struggles, and impact. Description: In this interactive camp, we will explore how mathematics and computer simulations allow us to model and understand complex systems ranging from the formation of snowflakes, how ants find the shortest distance to a food source, how queues form and bend, and how epidemics can be prevented by vaccinations. 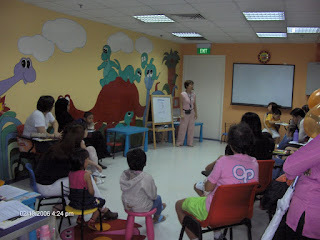 Facilitators: Dr. Rajesh R. Parwani (www.simplicitysg.net) ,co-facilitated by Ms. Adeline Ng. Step into the exciting world of robots and mechanics; a fun and educational robot themed workshop specially designed for kids! Learn about gears, circuitry, coding and take home your child's creations! kids very own products/creations and activity log. Time: 10 am- 1pm each day. Fee : $150 for the 3 hours day camp. 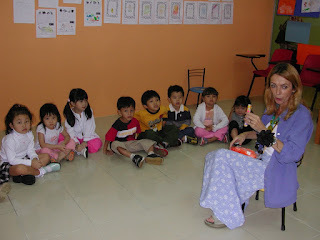 In this camp we will introduce children to the wonders of Science through the world of dinosaurs. Fancy and use time space to travel back in time and discover the wonders of dinosaurs and prehistoric earth; a fun and educational dinosaur themed workshop specially designed for kids! Learn about fossils, palaeontology, prehistoric earth, biology of dinosaurs and take home your child's creations! Digital Art Attack is a customized programme designed to introduce students to the revolutionary world of digital art. Realistically create the effect of drawing on a canvas with digital colour pencils, markers, crayons, paint and more! Through exciting themes and storyboards we aim to inspire young minds to have creative expression and to cultivate their abilities in a one of a kind experience. Over the 2-Day programme, students will utilise an iPad and learn digital art techniques to help them complete their artwork. Their artwork will be printed and framed upon completion. your very own creative Digital Art Painting in a frame where u can frame on wall . Description: This camp is spread over three days. It covers: Basic speech, fun speech exercises, basic script reading and bonding, acting basics, how to overcome shyness, how to add suspense, drama techniques and body language, how to be a good actor, voice projection, and advanced acting techniques . There will be a final drama show, and more information/assignments will be provided to better equipped students. Time : 3-6 pm each day. 10) Financial Literacy Through Monopoly. Description: In this fun and interactive workshop, we will guide your children towards financial literacy through playing of the Monopoly board game. Description: Learn how to create a croissant for your loved ones and the needy. The class will take you through the whole process from mixing of the dough, sheeting and shaping, and finally baking. You will take home the tasty pastry as well! Description: Learn how to make chocolate and the science of making chocolate . Description: This practical workshop will introduce participants to simple yet effective techniques to manage physical and psychological stress caused by work or daily life. For: 13 year olds and above. Description: Revitalise your body, and harmonise it with your mind, in this class devoted to gentle stretches and deep breathing. The focus will be on exercises that relieve neck, shoulder and back pain, improve circulation and digestion, reduce stress, and promote restful sleep. For: 15 year olds and above. Note: Minimum of 10 participants needed to start this event. Please bring a large towel or exercise mat. Dress in loose comfortable clothing. Do not consume meals at least two hours prior to this event. (1) Places are limited for each event, so please register early to reserve a spot. (2) To register, fill up and submit the online form below and make payment. Your registration is complete only when we receive both the registration form and payment. (3) We will contact you by email to confirm your participation. (4) If we have to cancel an event, for whatever reason, we will refund participants the paid fees within 14 working days. (5) We regret that, due to the substantial administrative and logistical costs incurred by us, there will be no refund for participants who pay their fees but who are later unable to attend their respective events.